On Thursday afternoon, Governor Chris Christie of New Jersey and Governor Andrew Cuomo of New York held a press conference at 2 p.m. to address the train crash in Hoboken, New Jersey. Governor Christie said that we still do not know the full cause of the crash and that we should refrain from jumping to conclusions before knowing more. He added that the train came into the station at a "high rate of speed" and went through several barriers. There is, at this point, one confirmed fatality — a woman on the train platform — and 108 injuries, mostly of passengers on the train. 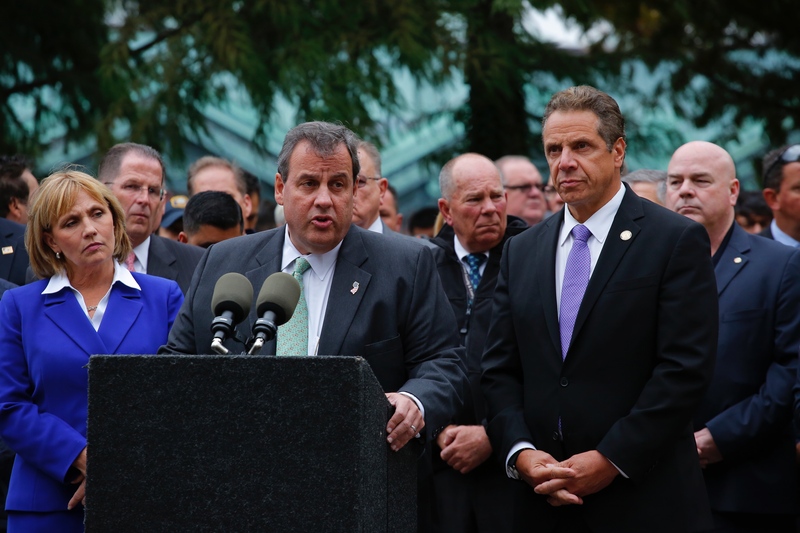 Christie thanked first responders, local law enforcement, and the civilian passengers who helped to evacuate the trains as quickly as possible. There is still investigation into the structural integrity of the station, though he confirmed that the PATH terminal of the station remains intact. Neither Christie nor transportation officials could give a prediction for when the station or the track would be back to functioning as usual — train travel to and from Hoboken has been suspended, as has the ferry system. Governor Cuomo thanked the efforts of local and state authorities in dealing with this issue. He pointed to recent successful coordination of New Jersey and New York groups in apprehending Ahmad Kahn Rahami, the Chelsea bombing suspect. He promised for the response to the crash: "You will never have had a more coordinated approach between MTA, New Jersey Transit, and the Port Authority" between the two different states. Governor Christie pointed to the joint responses the two governor's offices had successfully managed for Hurricanes Irene and Sandy, as well as numerous recent terror attacks. Representatives of both New Jersey Transit and the Metro Transit Authority spoke briefly about rerouting efforts to deal with the shut down train line, including additional buses set up to help passengers forced to detour. This National Transportation Service Board fielded a press conference about the crash at 12:45 p.m. Thursday afternoon. Bella Dinh-Zarr, Vice Chairman of the NTSB told reporters that the board had just arrived on the scene and is now beginning to investigate causes of the crash. They are looking into whether lack of positive train control (a system that automatically slows down trains in certain sections of track) caused the crash, as well as other factors. The NTSB referred questions about injuries to local authorities. Pascack Valley New Jersey Transit train #1614 crashed into the Lackawanna terminal in Hoboken around 8:45 a.m. Thursday morning.